Did you throw an epic Halloween party? Was it a hit? 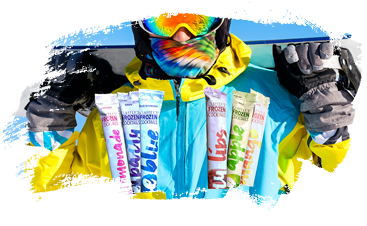 Already excited for your next party? We are, too! We know it’s not even Thanksgiving yet, but if you know anything about party planning, you know that you must plan ahead and we don’t think after Halloween is too early — especially if you want to top your Halloween party, if that is even possible! Today on the Claffey’s blog, we are going to give you 5 Christmas party ideas that are sure to inspire you to create a night that you and your friends won’t soon forget. When we say “Christmas party,” we are talking about a night created for adults. A night when you get to enjoy adult beverages and channel your inner child-at-heart. Here are some ideas for throwing an unforgettable holiday party! Who doesn’t love an ugly sweater party? It’s a fun way to inspire your guests to have fun and get creative. For this type of party, focus on the fun side of Christmas. Play those claymation videos on mute on the big screen, create an epic playlist of holiday favorites, and have a contest for the best, ugliest sweater! The delicious sweets created around this time of year can not only bring back some of your best memories but can be heart-warming treats. If your friends have a sweet tooth, like to bake, and you know they have their great grandmother’s sugar cookie recipe, have a cookie exchange party. Have each person bring cookies to trade, allowing everyone to go home with a plateful of delicious cookies — if they make it that far without being eaten! The holidays is one of the busiest times of the year. It can be hard to get all of your closest friends together in one room. Instead of trying to pack in one more party near the holidays, why not throw one at the beginning of the month? A holiday card party can be the perfect type of party for celebrating a little early and getting those holiday cards out to your friends and family while spending time with your besties. A white elephant gift exchange party is a classic party idea that will inspire some playful competition even in the usually most quiet person. Have a classic white elephant party or set a price limit and pick a theme to have your guest bring nice gifts. You could even exchange your favorite alcoholic beverage! Are you sad that Halloween is over? Do you wish you could dress up again? Throw a theme party! 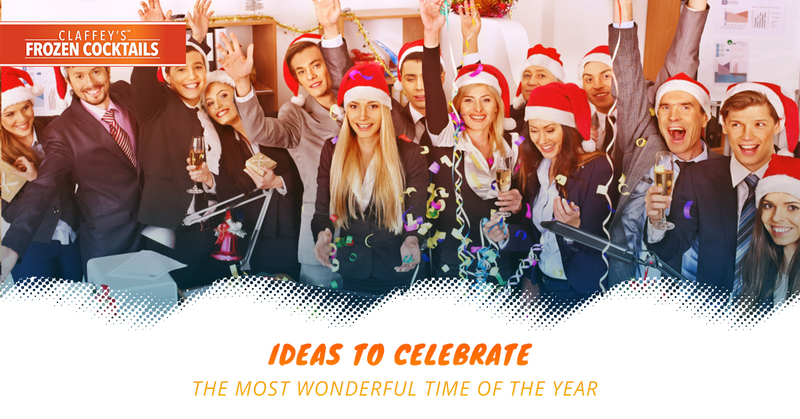 Possible themes include the Nightmare Before Christmas, Ice Party, Rudolph the Red-Nosed Reindeer, or A Christmas Carol party. Have guests dress up to go along with the theme and even have a costume contest. We at Claffey’s are always down to turn it up and create an unforgettable night! 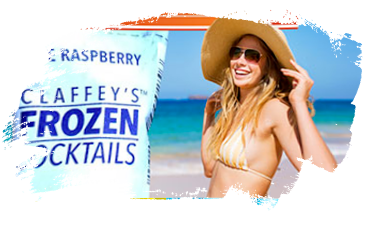 Bring Claffey’s adult popsicles to your next big party!